When training a horse consistency is the key. Being consistent when training your horse will make a huge difference in your relationship with them. You want to be consistent with your training methods and the consistency of how often you train them. So let me explain what I’m talking about. As an example, you take your horse from the stall to the pasture, when you open the gate you have them wait until you give them a cue to go through the gate. The next day you do the same thing only this time you open the gait and allow them to go through without a cue. This will cause confusion for your horse and it sure doesn’t set them up for success. If you watch horses in a herd interact with each other you’ll notice the horse at the top is always consistent about how they deal with the other horses below them. For instance, if one of the horses that are really low in the pecking order try to eat the top horses hay they will let that horse know they better stay away with a look or maybe pinning of the ears. They don’t let that horse on one day eat their hay and then the next day run them off. Every horse in the herd knows their place in the pecking order and there are usually no big surprises. Horses like consistency it builds trust! Lots of horse owners find it challenging to be consistent with their horse’s training days because of time constraints. I totally understand! Something that might help is to schedule your training time on your calendar if it’s not scheduled more than likely it won’t happen. Here is something else that will help, write down your goals as to what you want to accomplish with your horse and keep a journal of the progress. Do you want to show, ride for pleasure or maybe you have a pony that’s for your children. When you know this then you’ll be able to break it down further into what your horse needs to learn. 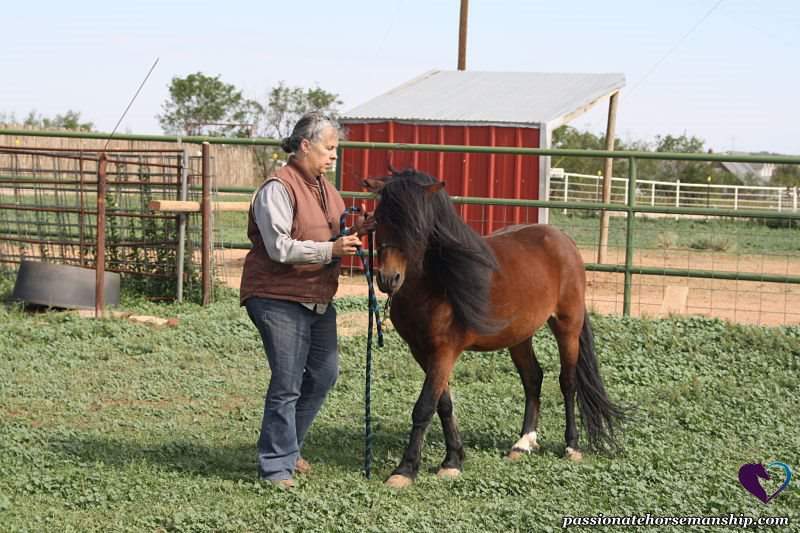 All horses no matter the breed need to learn how to respect our space and they need to know how to do basic things like leading, standing tied, standing for the farrier etc. When you decide what your goals are then break things down into small goals. Next, you’ll need to decide on what days will work best for you to work with your horse. The more consecutive days you train your horse the higher their retention of the training will be. When training your horse consistency is the key to success. Do you have any tips for staying consistent with your horse? Leave a comment below. Thanks for the great advice on being consistent, Kim. I love your suggestions for scheduling time and writing down your goals – these are steps that can be applied when working towards any goal. Thanks for taking the time to leave a comment Jenni. I agree these are steps that can be applied towards any goal.